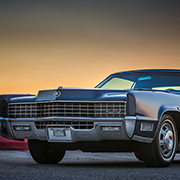 HAUS OF HOT ROD PHOTOSHOOTING WITH A 1935 LASALLE | Geralds 1958 Cadillac Eldorado Seville, 1967 Cadillac Deville,1967 Cadillac Eldorado, 1971 Lincoln Continental Mark III and 1978 Cadillac Eldorado Biarritz. Sepp Weinzetl is very well known in Europe for his incredible Hot Rod creations. 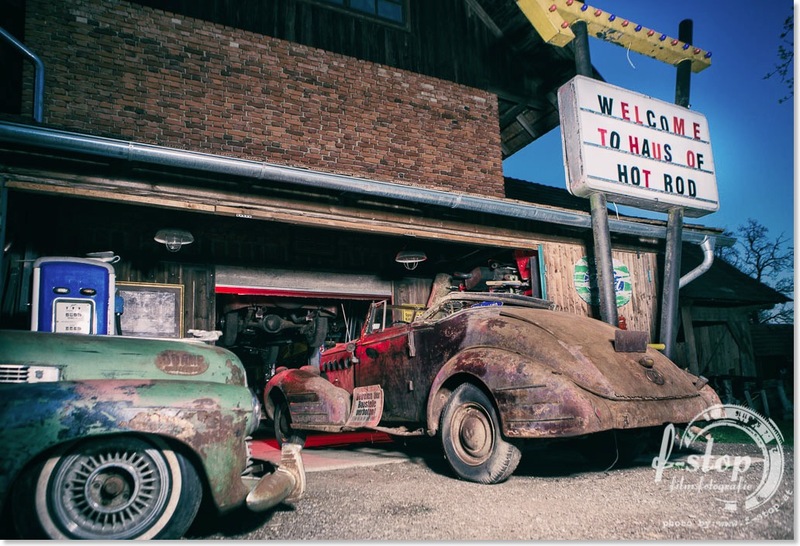 His "Haus of Hot Rod" is home to an amazing collection of super rare speed parts, engines, cars and Automobilia. It´s the coolest place in Austria. He also owns some amazing Cadillacs and now he found a 1935 LaSalle that he literally pulled out of a barn a week ago. So we had to go there and take a couple of pictures of his newest acquisition. You can find the resulting 22 images from the shooting in this gallery. Thanks Sepp for the cool photo shooting. A look behind the scenes of the photo shooting. My wife is the photographer, while Sepp helped with holding the flash light. 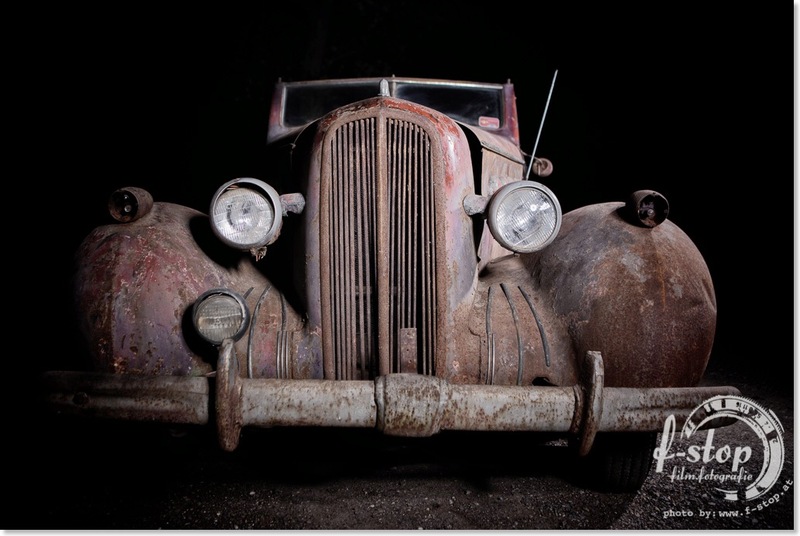 A 1935 LaSalle Convertible which came out of a barn. 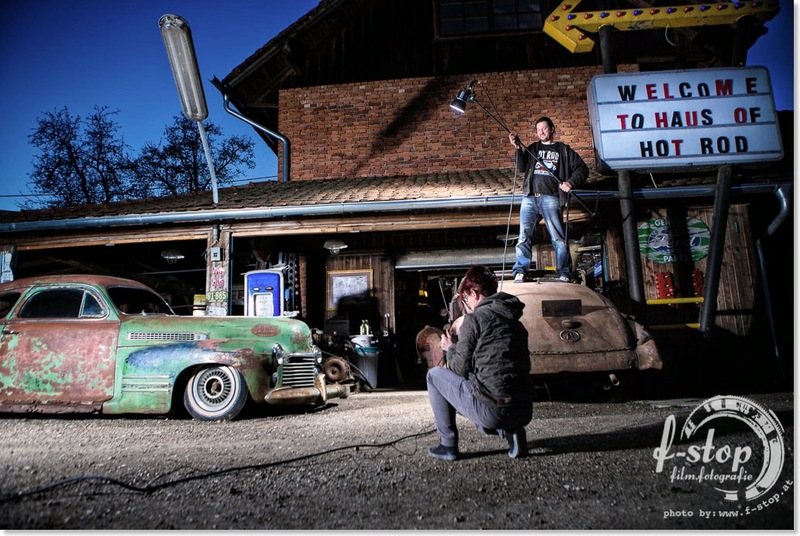 In front of the "Haus of Hot Rod"